1) Manually delete the folder C:\Users\Public\Documents\AIT\TO3000, Version 3D\db (it contains the database). 2) Launch the setup file and follow the Setup wizard. 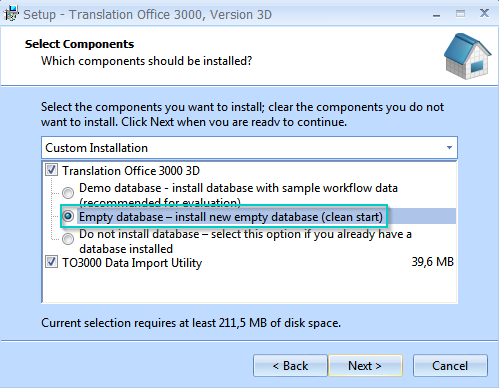 Choose the "Empty database (Clean database)" option while installing.